You'll also get faster graphics and more ports. We generally liked HP's redesigned Spectre x360, but it had a few flaws: It dropped some particularly useful ports, and there was no 15-inch model for people who need more screen real estate. Consider those issues solved. 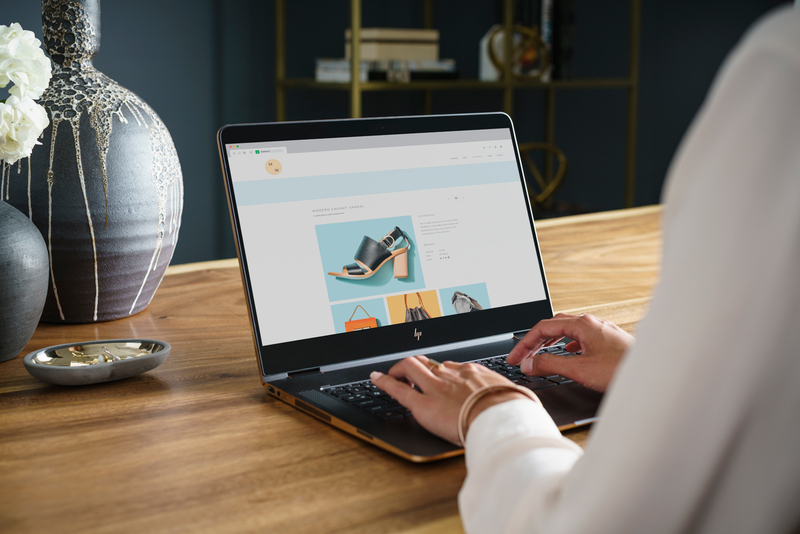 HP has unveiled a 15.6-inch edition of the new Spectre x360, and it's a lot more than just an upsized version of a familiar 2-in-1 PC. To start, you're getting much nicer visuals. The larger Spectre ships with a 4K IPS-based touchscreen and dedicated graphics (albeit an older GeForce 940MX chip), both of which are miles ahead of the 1080p display and integrated video on the 13-inch system. However, it's the subtler additions that you might appreciate the most. Most notably, the ports you missed are back. HDMI and a card reader return alongside one each of Thunderbolt 3, USB-C and conventional USB. You'll also get two new front-facing, Bang & Olufsen-tweaked speakers. And if you liked the overall performance of the 13-inch computer, you'll be happy here. It ships with the same low-voltage 2.7GHz Core i7 processor and speedy 256GB solid-state drive as its smaller sibling, but you'll get 16GB of RAM out of the box instead of 8GB. And despite the 4K panel, battery life is still estimated at a healthy 12 hours and 45 minutes. About the only drawback is the weight: At 4.4 pounds, it's relatively heavy for a thin-and-light system. Pre-orders for the larger x360 start today at both HP's website and Best Buy, although the ship date and configuration will depend on where you shop. If you want first crack, you'll have to score one from Best Buy at a $1,500 starting price. Exhibit some patience, however, and you can get one through HP on Feb. 26th for $1,280. At that last price, it's a fairly easy choice: If you'd prefer a larger display or are willing to live with one to get more ports, it's likely to be worth the premium.